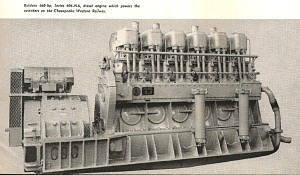 although some of these models were also used in marine and stationary applications. 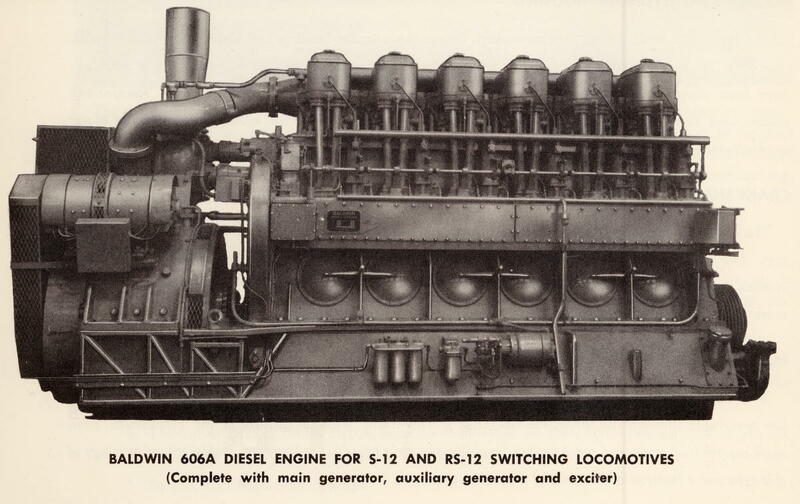 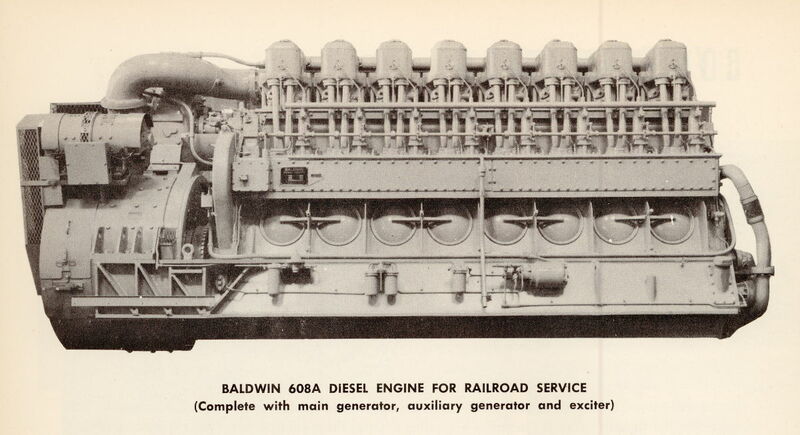 De La Vergne Engine Company acquired, see: "De La Vergne Engine Company"
- engine #1600 used in BLW #62000, see: "The Baldwin Diesel-Electric Switching Locomotive"
are said to be 600hp @ 600 rpm. Baldwin marketing publications say 660hp @ 600 rpm. 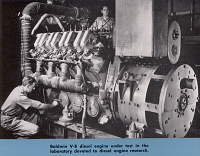 Experiments with turbo-charging the VO engine proved unsuccessful due to offset combustion chamber design. 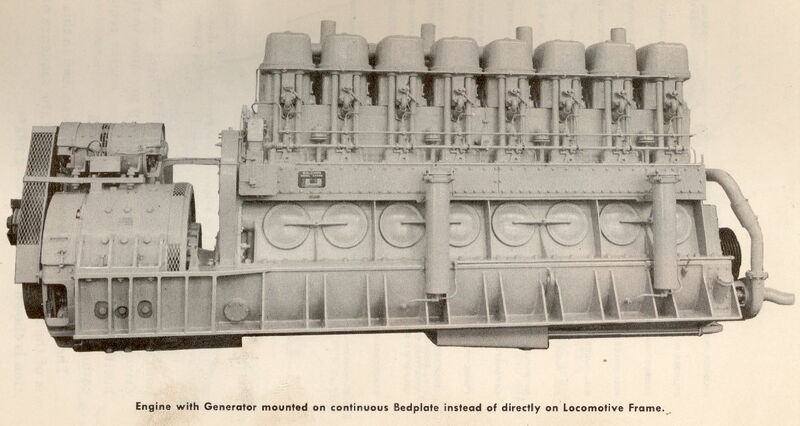 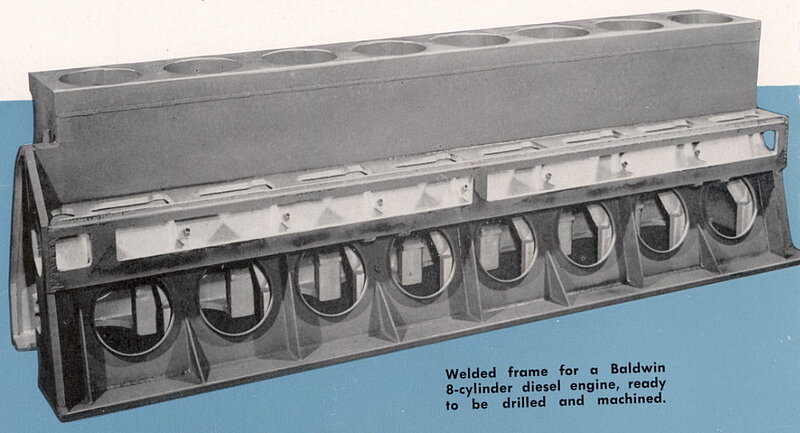 see: "DIESEL SWITCHERS - De La Vergne Engines In New Orleans Public Belt Locomotives"
A welded steel A-frame and bed was designed as the cast frame was prone to cracking. 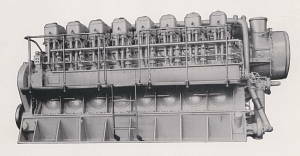 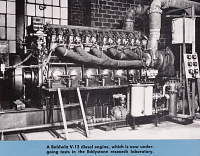 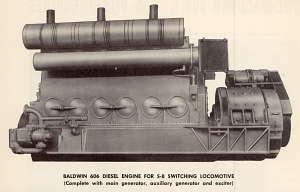 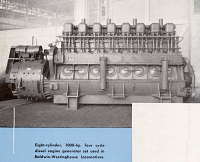 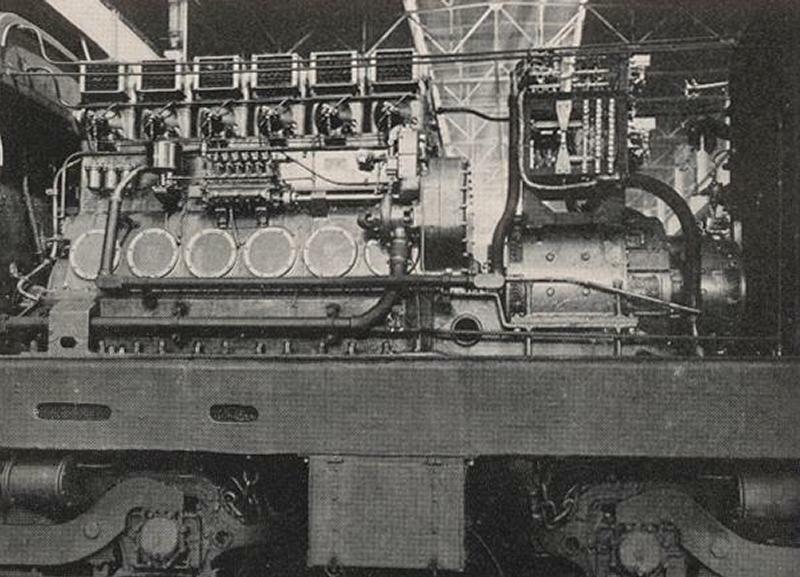 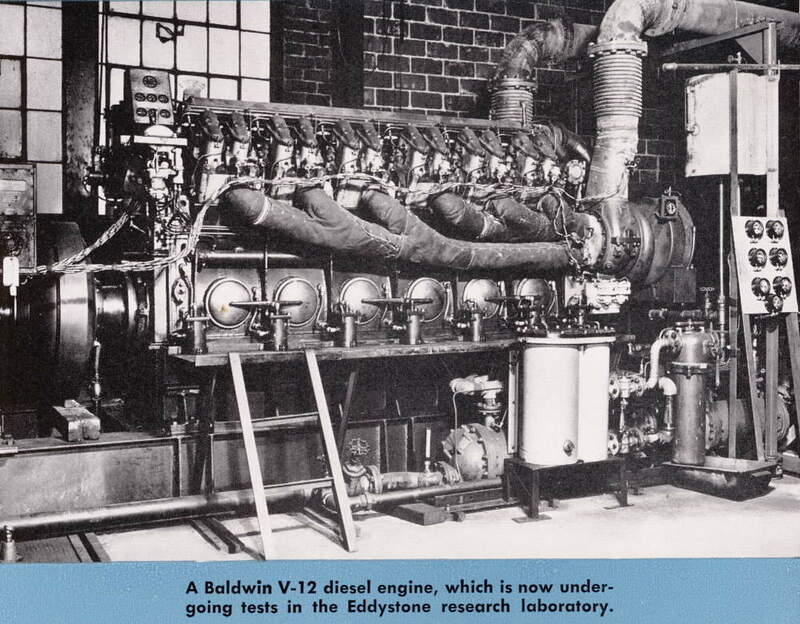 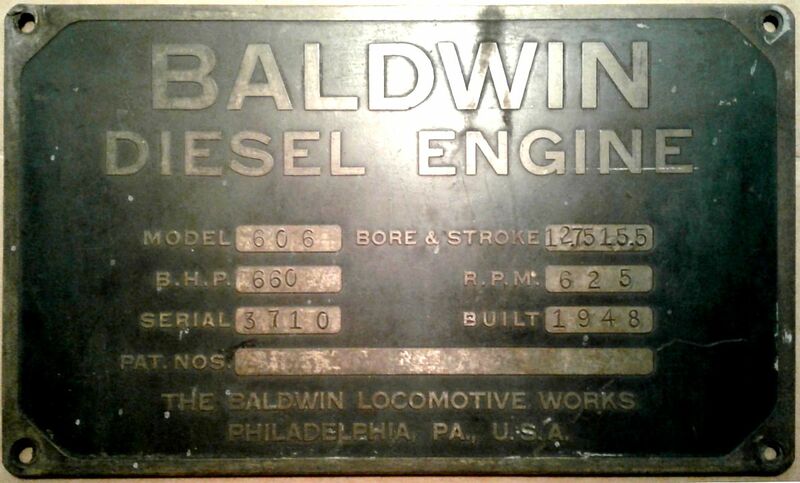 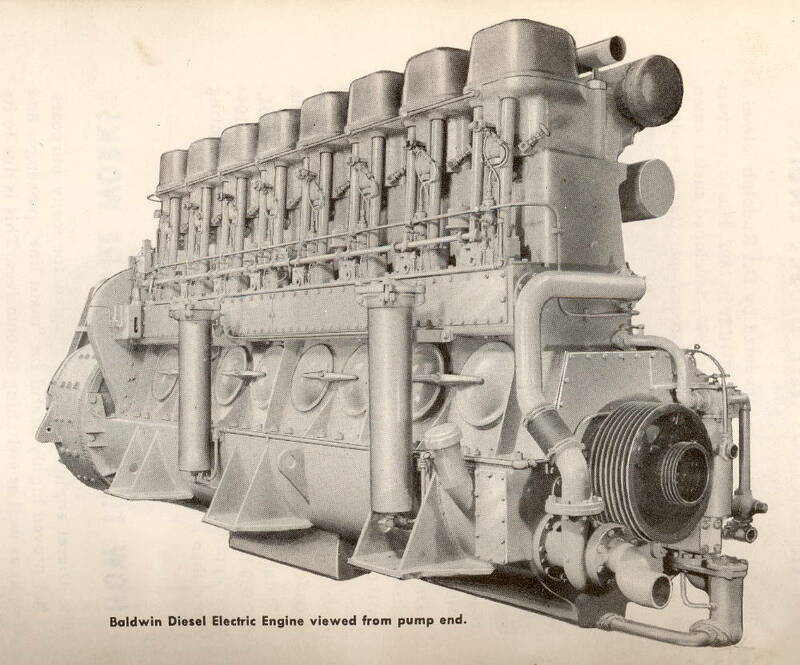 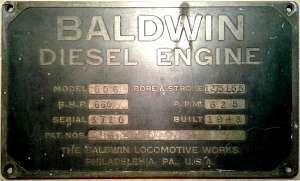 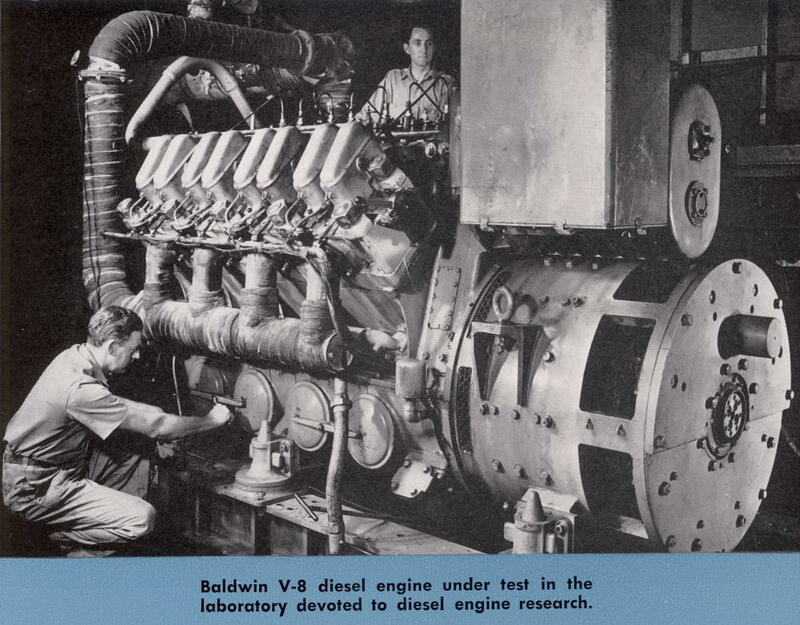 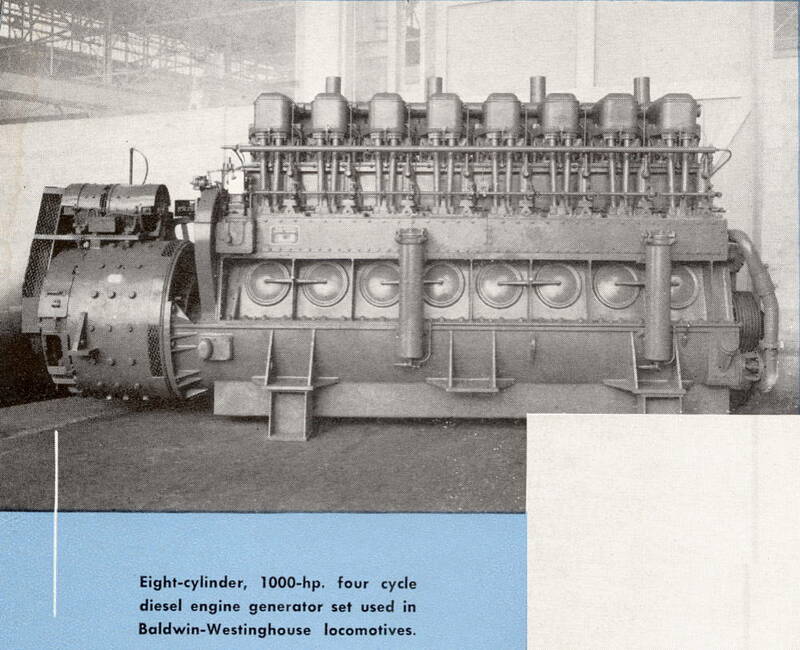 Baldwin photo - "Half a Century of Diesel Engine Development"
War Production Board restrictions on diesel engine development. It was not continued after the War. 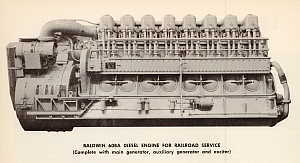 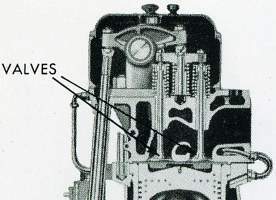 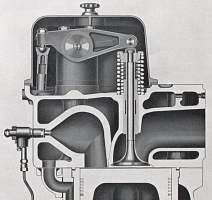 cylinder head design for the VO engine, resulting in the 600 series engine. 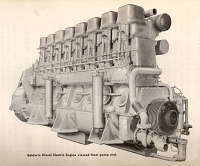 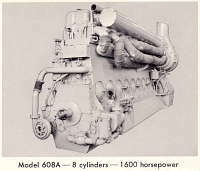 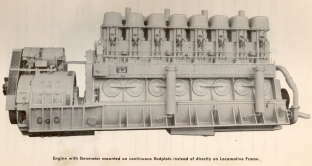 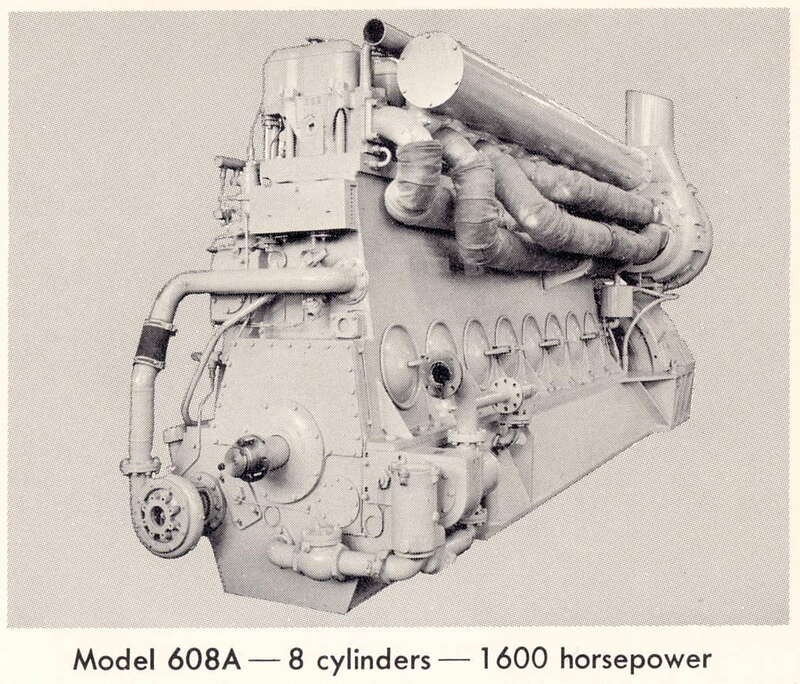 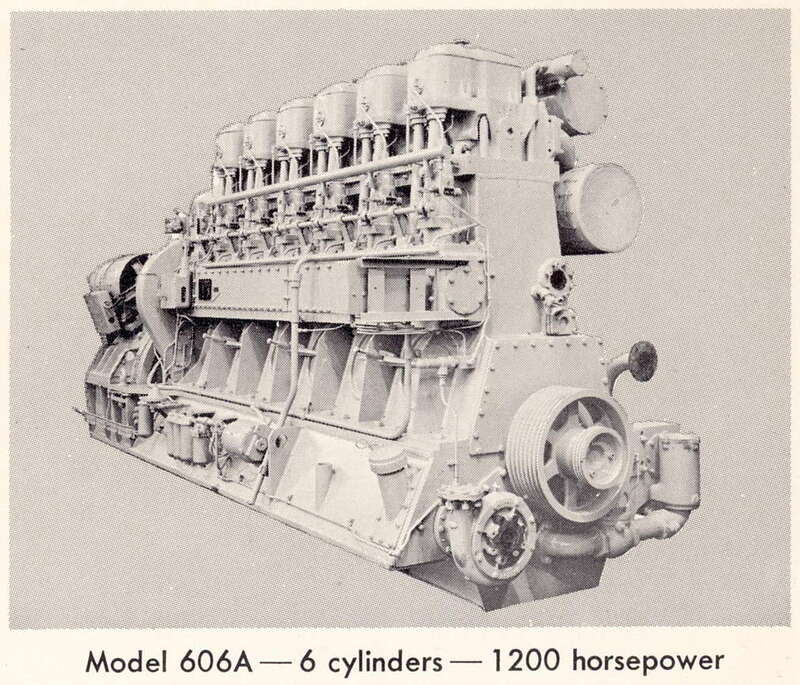 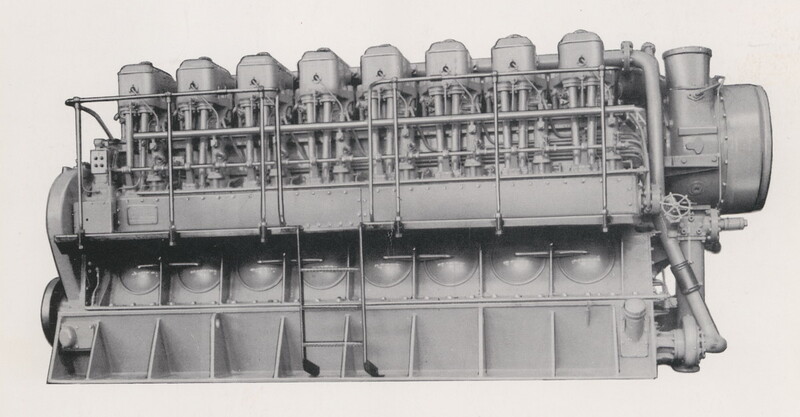 four versions were planned, all developing hp at 1000 rpm. 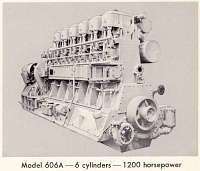 -second generation 600 series engines, 12 3/4" bore x 15 1/2" stroke, inline 6 & 8 cylinders.